Truman repeats as FL K-8 Champion. Williams IB Middle School wins K-8 Team Championship. Roshan & Ojas tie for 2nd (K-8). Jayant & Domenic tie for 2nd (K-5). Boris Spassky is an impressive sight. I first met Boris when he was 52. This year's SuperNationals broke the record for the largest rated chess tournament in history with 5335 players. The previous record was set at SuperNationals III with 5320 players. 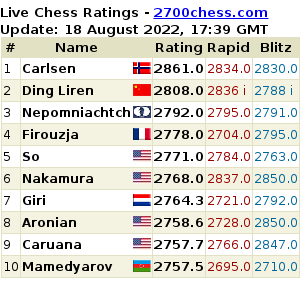 The K-6 section was quite strong with 8 players rated at expert level (3 rated over 2100, 5 more rated over 2000) and a total of 198 players. Time control was a generous Game 120 with 5 second delay, allowing for high quality play. Truman Hoang finished with 6 wins and 1 loss, with the lone defeat coming against the champion David Peng. After winning the first 3 rounds in uneventful fashion, Truman earned the right to play David Peng on Board 1. However, Truman could not prevail and resigned after 3 and a half hours of exhausting chess. Fortunately, he was able to gather himself in time for Round 5, which he won in less than 2 hours. Round 6 started at 9 am on Sunday, which Truman managed to win in about 2.5 hours, giving him plenty of rest for the final round. The 7th and final round was against Zachary Chen Tanenbaum, rated 2025, from Connecticut. Truman saved his best chess for last, went up a pawn in the middle game, and methodically converted his advantage to a win after 4 grueling hours. Truman's 6 points earned a tie for 2nd place with 3 other players. In the team competition, the team of Roshan Jayaraman and Truman Hoang took 11th place, despite being at a severe disadvantage, having only 2 players instead of the usual 4. Our next tournament is Saturday, April 20. Come join us and play against exciting players such as Truman, Roshan, and Master Corey Acor. Copyright © 2019 Yes 2 Chess All rights reserved.